World-renowned tenor Anthony Kearns joins a star-studded musical cast in "America Salutes You," a multi-platform broadcast celebrating active duty military, veterans, and veterans' causes. The program airs nationally this Thanksgiving Day weekend. Mr. Kearns performs an exciting and inspirational interpretation of "O' America," a powerful ballad written by Irish songwriter Brendan Graham with American composer William Joseph. Kearns, an original member of the successful group, The Irish Tenors, is joined by accompanist David George of Louisville, KY.
"Anthony Kearns frequently appears in support of American military, their families, and veterans' causes," Kearns' publicist and event promoter Kirsten Fedewa said. Kearns said, "I was happy to contribute to this special show for America's military at the invitation of my good friend, Bob Okun. Music carries a message of healing and peace throughout the world. No group of people is truer to America than the U.S. military. No group has answered the call with a stronger pledge to do everything they can do to protect freedom," he said. "I never lose sight of the fact that freedom is not free, it comes at a price and there are sacrifices. To members of the military and their families across the world, I thank you for your service and dedication." "Anthony Kearns is a world-class tenor and a world-class supporter of our military personnel," said Bob Okun, executive producer of America Salutes You. "He helped make the show a real success." He said, "Less than 1% of our population serves in the military to make the world safe for the rest of us. We owe them a huge debt, and they have many needs when they return. 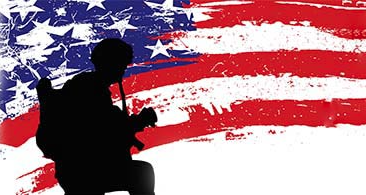 This concert is a national thank you to those in uniform AND it also raises funds nationwide for a wide range of high impact veterans' charities." In addition to Mr. Kearns, concert performers include pop legend Cyndi Lauper, multi -platinum selling singer/songwriter Gavin DeGraw, country music legend Wanda Jackson, rapper Hoodie Allen, Gospel Grammy winner CeCe Winans, and bluegrass legend Ricky Skaggs. Fundraising costs are covered by the Robert R. McCormick Foundation, ensuring 100 percent of all funds raised will be granted to non-profit organizations helping veterans, service members and their families such as: Give an Hour, ThanksUSA, Easterseals Dixon Center for Military and Veterans Services, the Bob Woodruff Foundation, TAPS, Snowball Express, Illinois Joining Forces and Honor Flights. Anthony Kearns took the American television audience by storm as the youngest member of the PBS super-group, The Irish Tenors. Together they have five television specials and 10 CDs, which have gone Gold, Platinum, and Double Platinum. Now living in the U.S., Kearns frequently performs at charity concerts, major sporting events, on television, in operas, and with the world's finest symphony orchestras. He has been honored to perform for three U.S. presidents, Pope Francis I, the chairman of the Joint Chiefs, and at numerous events for veterans from World War II to present day.